60015 arrives at Eastleigh, ex-works from Toton, 28th May. Image by Ian Knight. 66097 works a northbound 'cars' at Eastleigh on the evening of 2nd June. Hanson is believed to have pulled out of their stone operations at Fareham and Hamworthy. 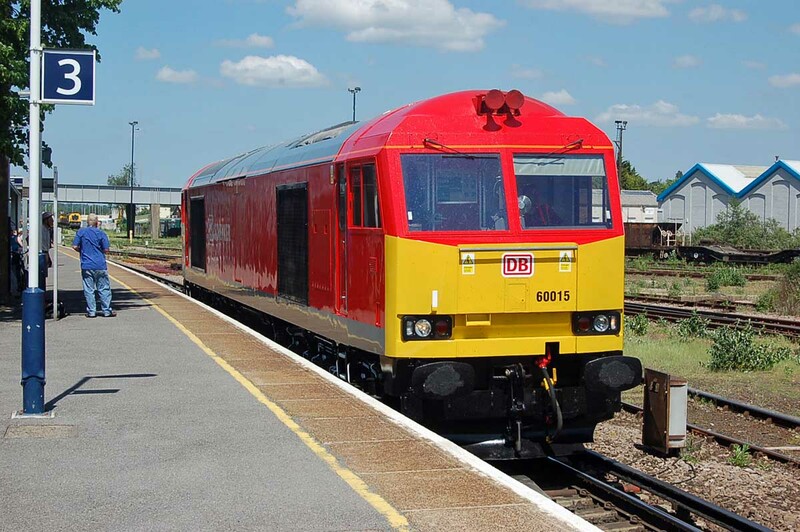 They have an application in at Hamworthy for a recycling facility at the rail sidings. 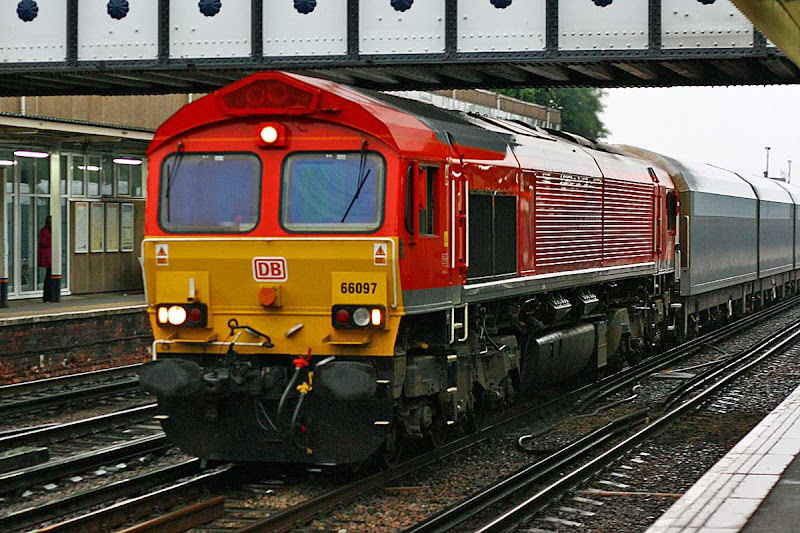 On Monday 28th 70009 made its departure on 4M55 08:54 Millbrook - Lawley St., and has been on Felixstowe / Ipswich diagrams since then. 70020 + 70008 were seen at Eastleigh Yard, then 70008 at Southampton Central on Wednesday 30th, returned to Maritime from Eastleigh, 70020 is now in Eastleigh T&RSMD. 66563 + 70008 DIT 4M28 09:32 Maritime - Ditton, Thursday 31st.